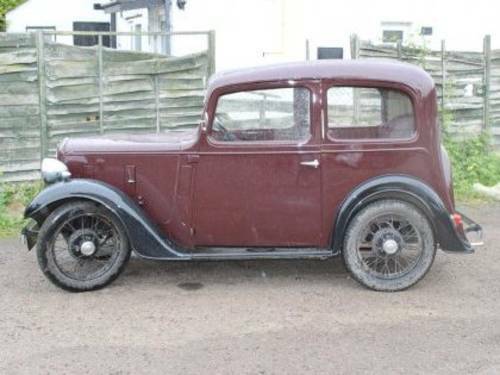 Austin introduced the Ruby and it's fellow 'Jewels' in August 1934. The new models had modern styling with more rounded bodywork and coweled radiators making the bonnet look longer and also blend with the sweep of the front wings. 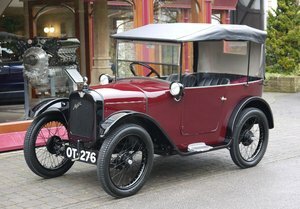 The Seven now had a lower chassis, using uncambered road springs and smaller 17 inch wheels. This eliminated the need of footwells, the floor now being some 5 inches nearer the ground than on previous models. 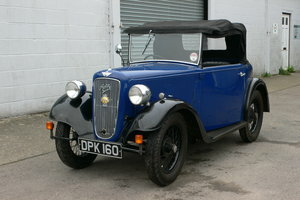 The final series of Rubies, announced in July 1936, were brought even further up to date with revised waistline moulding and improved doors with pressed steel frames. Mechanical enhancement included a new 3-bearing crankshaft, giving a much smoother engine, Borg & Beck clutch, redesigned cylinder head with improved water passages and 14 mm plugs. Semi Girling hydraulic brakes were also fitted. Here is one of those final series and benefits from all the latest improvements, and is also to de-luxe specification with sliding sunroof.The bodywork has been totally restored and has received an immaculate respray in period maroon. 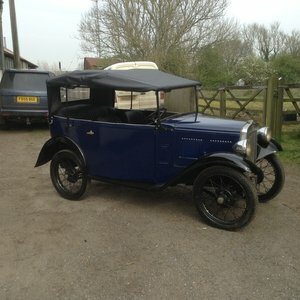 The interior has also be superbly retrimmed to match, and the engine sounds wonderful. 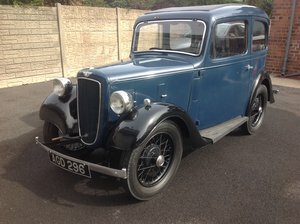 The Austin comes to the sale ready to use and with a current V5C.